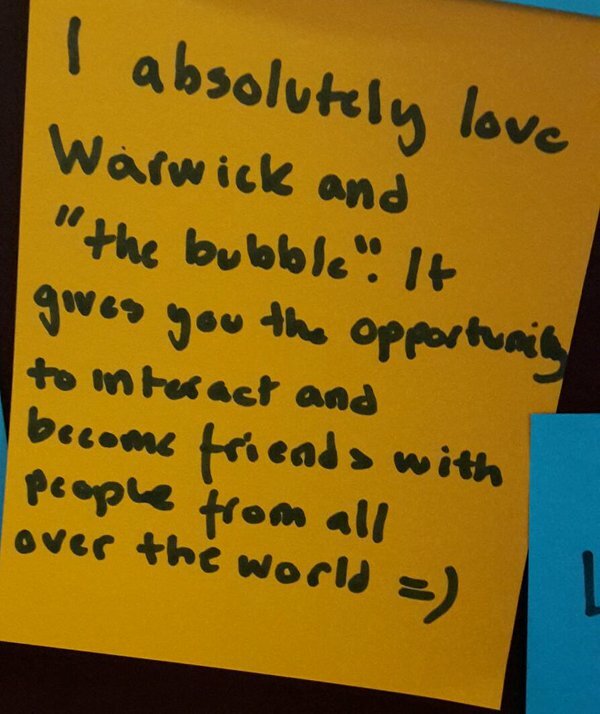 The University of Warwick is an open campus, and we welcome both prospective undergraduate and postgraduate students. The best time to visit is during the week when most of our buildings are open, but please note that they're often in use during term time, so you won't be able to explore everything. Visit us at Senate House to collect visitor information. Here you can pick up a prospectus and a map from the entrance to student reception on the ground floor (8am-8pm Monday-Friday, 10am-6pm Saturday, Sunday and Bank Holidays). If you'd like to chat with someone about a specific course, you would need to contact the relevant department at least one working week before your visit, to see if a member of staff is available. Please note that during vacation periods, it will not usually be possible to arrange visits to meet with academic staff or with current students. Although you won't be able to see inside our accommodation, you can get plenty of information on our accommodation pages.